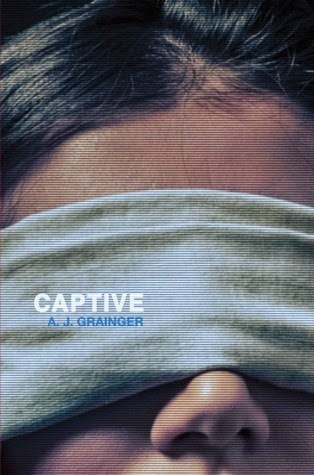 Summary: When a teen is held hostage, her efforts to escape uncover a conspiracy that forces her to question everything in this psychological thriller with a twist of forbidden romance. My Thoughts: Honestly, when I started this one, I wasn’t sure if I would enjoy it or not. Sometimes I like kidnapping books, other times I do not. I really liked it. I thought it was a good one. I enjoyed the plot, but I also liked the characters more than anything. We are introduced to Robyn who is just a normal teenager. She has most teenage problems, except for one exception. Her dad is the prime minister of the UK. This means her life is always in danger. Something could happen to her or her family. Terrorists, threats, a lot of things really. When Robyn gets kidnapped it is quite the whirlwind for her. Two of the kidnappers were pretty mean, and jerks. I didn’t like those two at all. Both of them rubbed me the wrong way from the beginning. But, there was another one. His name was Talon. I really liked him a lot. I wanted him and Robyn to become friends. I found myself rooting for him many times during the book. I felt at times this book was very fast paced however it did feel like her kidnapping lasted forever. At times, I just wanted her to be found or to escape. I really liked learning about her relationship with her dad and her little sister. I liked her family a lot even if things weren’t perfect. I think I liked the parts between Talon and Robyn the most out of the whole novel. But I never really felt completely right about it either. It was a hard one to grasp. Overall: I did really enjoy this one all in all. I liked Talon and I understood why he was the way he was. It was just hard wanting Robyn to like Talon because he was in on the kidnapping but I always liked the scenes with them. I really liked Captive a lot. Cover: Its mysterious enough for you to want to read it!